Aeroplanes training to lick the Hun. 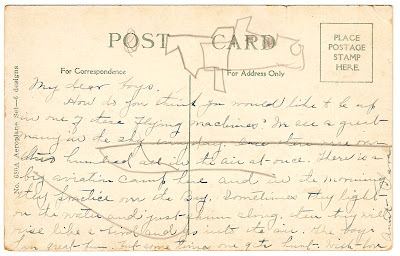 An unmailed and unaddressed post card. Apparent pencil doodles added later. Well I wouldn't want to be up in one. 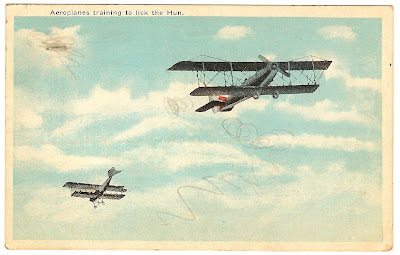 The life expectancy of those WWI flyboys was darn short! Something like six months. No thankee. Wouldn't want to do that. What a wonderful post card. What a shame it was never sent. 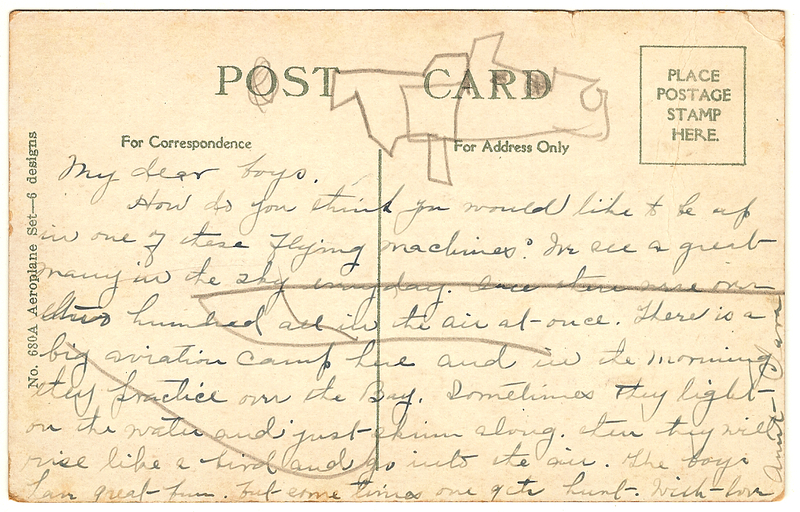 I'm glad we got the benefit (along with the doodler) of this unsent postcard!